Whenever I start actually writing the manuscript to a new novel, by that point it has been at least a year or two in the making (the one exception so far being the Chronicles of the Sentinels.) I first come up with the general idea, either for the story or for a character, and start to unravel the entire story surrounding that idea, as well as back story to go along with it. So it shouldn’t surprise me, and yet it still does: I’m smack in the middle of 2nd edition edits, still need to finish writing the first draft of book 3 of The Sword of Dragons…and suddenly inspiration strikes, and I start unraveling the entire story for book 4 in my head! And it just started unraveling in my head like the story was already there in my mind, I just hadn’t brought it forward to my conscious thoughts yet. What’s really exciting is that, just like with my 7-year run on my fan fiction, things that I wrote in the earlier books are coming together to create the new stories. Things that happened in the first 3 books as well as The Orc War Campaigns will become important in book 4…some things I didn’t even mean to make important later on! I get so excited when this happens! I love that, somewhere in the back of my mind, everything is connecting together from the beginning and building on the foundational story. More and more, I’m learning just how important supporting characters are. Often times supporting characters become fan favorites in stories. 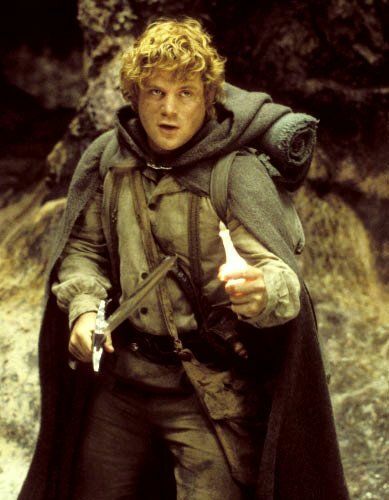 Samwise Gamgee, for instance, or Ron Weasley. In the past, this was something I struggled with. In my fan fiction, I focused a lot on the two main characters, the Captain and his first officer. To the suffering of all other supporting characters. I started to rectify this in the last two seasons, but I realized this was something I should have done from the get go. For The Sword of Dragons, I tried to ensure I at least had good back stories setup for Reis, Sira, and Dalin. Yet I feel like I still haven’t given them the time and attention they deserve. That’s definitely changing starting in book 3, and most definitely now in book 4. But, I have a question for everyone: are you usually willing to read a longer novel due to more time and attention being given to supporting characters? For instance, book 3 of the Sword of Dragons will have about 1/4 of the chapters devoted to Reis going on his own adventure without Cardin or Sira. Plus several other chapters branch off for other supporting characters. All of these instances are integral to moving the main story line forward, and I think that’s probably the key: any time a novel goes to a perspective of another character, it must be with a legitimate purpose, and not ‘just because.’ What do you think? Much to my surprise, so far I’ve reduced the word count of book 1 by 1400 words! I’m kind of glad to see this overall trend, though, mostly because I’m trying to get rid of redundant phrasing and make each paragraph have more impact. When it comes to self publishing, one of the things I’ve struggled with the most is marketing. In fact, it’s been one of my biggest banes since I started down this rabbit hole. Going in, I had no idea just how important it was, and for that matter, just how much it needs to be a part of your product development from day one. I thought I had it all figured out in the beginning. The day that I decided that I was going to self publish The Sword of Dragons, I immediately started looking at what I was going to do for a cover design. 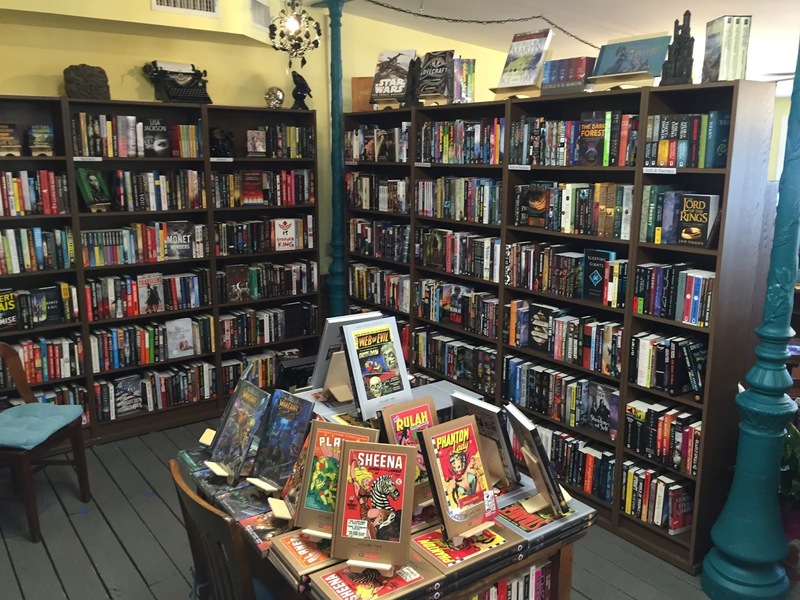 This led me to wandering bookstores with friends, pointing out book covers that stood out to us, discussing the good and bad parts of covers, and trying to figure out what would make a good cover for the Sword of Dragons. In hindsight, doing so, especially first thing in the planning process, was a smart idea. Unfortunately, that was probably one of the few things I did right in the beginning. What did I do wrong after that? For starters, I didn’t have a fully finished product. I wanted my book out there, and I didn’t want to wait to finish important things, such as getting a polished world map ready. I also didn’t spend more time researching marketing, researching fantasy novels, or cover design. In principle it sounded like a good idea. Make my book stand out amongst all the others. 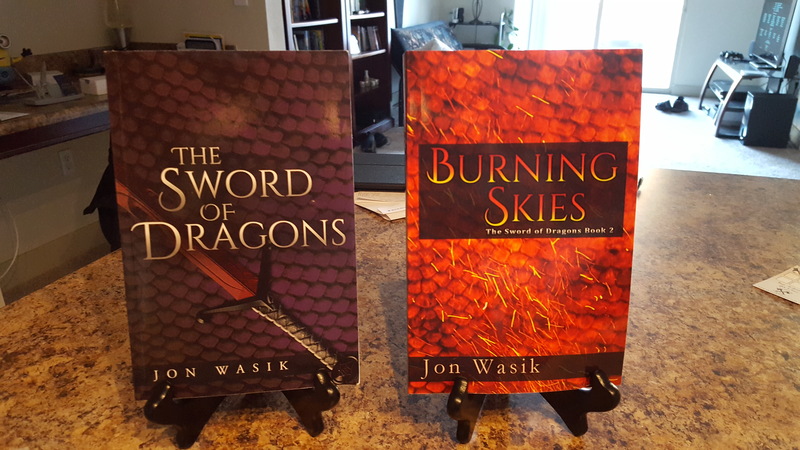 I’ve run into a problem with the Sword of Dragons series: everyone who has read it has thoroughly enjoyed it, and I’ve even gained a few fans! And they’ve done their best to try to spread the word to others. But what about those who don’t know me or don’t know any of those fans? Or even know the fans, but are so stretched for free time that they are picky about what they read? What do they think when they see the cover for the Sword of Dragons or Burning Skies? Do they see a book that looks like a great fantasy adventure? Or do my covers say something else to them? I’ve touched on the subject before about cover design, you have to target your audience. And one of the things you can do is make a cover that fits within your genre while standing well on its own. Many, many people have told me at this point, “put a dragon on your cover, your sales will increase.” Why? Because my book has dragons in it, and the entire series will increasingly feature dragons. So I want to attract readers interested in dragons. But there’s more to it than that, and this has as much to do with marketing as graphic design. I think one of my biggest mistakes was trying to consider how my book would look on book shelves. Even if I get to that point some day where Barnes and Noble puts my novels on their shelves, before I can get to that, I need to consider how my covers will look as a tiny little thumbnail on amazon.com. And while working on a project’s cover recently (well, sort of recently, before we started packing to move), my fiancee had a great idea that I believe may have helped me in the long run. I knew the moment she said it that it was an amazing idea, and set out to do so. It also helped me figure out which cover to use, because I had ideas for 2 or 3 different covers and had made preliminary versions for each. I put each version up as thumbnails, and very quickly identified which cover popped best while still being easy to identify as a sword and sorcery type novel with dragons. But I also realized there were issues with the. The title blended in with the cover, and the cover was too bland-colored. So I made modifications and performed several tests, until I had a cover that popped out nicely and whose title was easy to read. 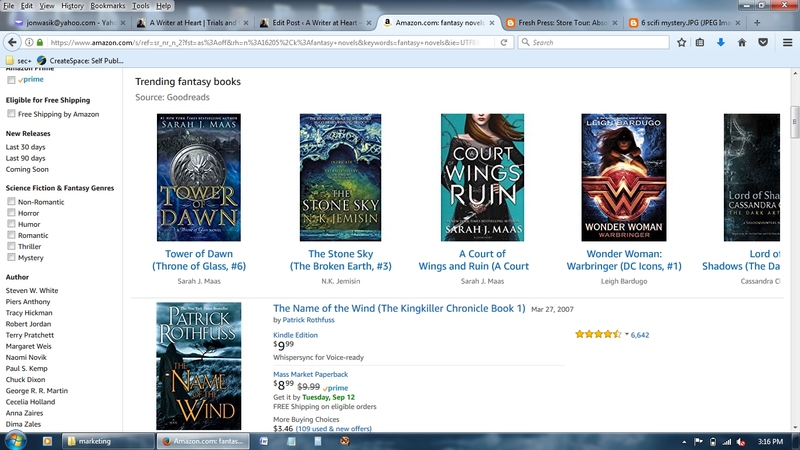 That’s the thing to remember: whether browsing amazon.com or viewing your book cover from a distance at a bookstore, a reader will more likely see your cover as a thumbnail size, and so your title needs to be easy to read without overtaking your entire cover. A difficult balance to strike, but well worth the effort. Why Is The Cover So Important? I keep coming back to this topic: your cover matters a lot. Why? Because every single aspect of your marketing campaign is going to hinge on your cover. In book stores and on amazon.com, it’ll be the first thing a prospective buyer will see. In a convention or book signing event, it’ll be the first thing patrons will see. On advertisements, anywhere, whether amazon, facebook, or other, it’ll be the first thing they see. If you have the money and resources to pay for adverts on billboards, bus sides, or trains, again, your cover, or some edited version of your cover, will be what people see first. First impressions matter. People judge books by their covers. Granted, if you have a fantastic cover but a crappy story, you aren’t going to get anywhere with sales, either. You might do better than if you had a bad story and a bad cover, but reputation will probably kill your book’s sales. Do you have a good story? Then you need an appropriate cover to go with it. Not just good, but appropriate. There’s more nuances you can add into a cover design, but I think I’ve written enough on the topic for one day :) I hope this helps my fellow authors out there, I’ve learned so much about marketing and cover design in the past 3 years and I wish to pass that knowledge on! Do you have any tips or lessons learned about marketing and cover design? Please post them in the comments below for others to read!